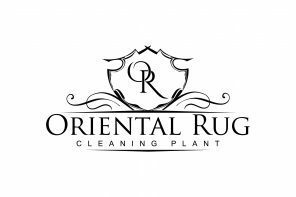 Our Oriental Rug Cleaning Plant provides a variety of services related to rug washing. The name of our facility in itself describes the most basic idea of what we do here, rug cleaning. We clean just about every type of rug there is, be it synthetic or natural fibered. We have methods and solutions for treating the different materials rugs are made of, as well as the variety of services that may be needed for individual circumstances. We use full immersion and submersion techniques which are meant to replicate the age old practice of river washing rugs. Since woven, natural fiber rugs have been around for much longer than any modern technological cleaning processes, there are methods that were used which seem archaic but were highly effective. Natural fiber rugs used to be washed by hand in rivers with steadily flowing waters. The water in the rivers would be cool and the current not too strong, which would provide the perfect place for a thorough flushing of a rug. Modern techniques are actually meant to replicate this type of cleaning, but with some updated additions to the process. Most of the rugs we clean in our facility are made of wool or silk. These are the most commonly used materials for crafting natural fiber rugs due to their availability, durability and ease of use. Natural fiber rugs can be hand woven or crafted by a machine. They can also be tufted or untufted, with a tufted rug having a backing that is glued on. An untufted rug will look very similar on both sides. Rugs that do not have a tufted backing on them will have very tightly woven warps and wefts which make up the base of the rug. This foundation is the most important part of the rug as it is what keeps the pile together. Typically, most natural fiber rugs will have the traditional warp and weft base and most synthetic rugs will have the added tufted backing. This is not necessarily the case every time, but it is more common than not. While the natural fiber rugs need a proper immersion washing to ensure safe, positive results, synthetic area rugs can be cleaned using more invasive, aggressive methods. Often, synthetic rugs are less costly and more durable which makes them great candidates for in home hot water extraction cleaning. This process is quite similar to cleaning the carpet in your home. Synthetic materials are built to withstand the intensity of a heavy duty washing process and can typically dry completely without added assistance. Natural fiber rugs require the more delicate washing process to avoid color bleeding or damage to the fibers. Drying is also an assisted process, as the tightly woven base of the rug can trap moisture and cause serious damage to the base and fibers of the rug. Don’t forget to add some new padding for freshly washed rug! We keep fine rug padding in stock, as old padding is typically discarded once a rug is washed. Padding is typically not washed in any way and has a tendency to absorb and hold any spills or odors. Replacing your old padding with a clean, fresh section of new padding will eliminate the risk of contaminating your newly cleaned rug with old odors or trapped stains. It will also help to keep your rug positioned properly in your home and provide a more comfortable, supportive surface. Ask any of our team members about our padding and they would be happy to provide more information! We are committed to providing the best service possible, while also ensuring that we are keeping our rates fair for our customers! We regularly assess our costs of doing business to verify that we are charging fairly and accordingly. The goal of our company is to be fair, honest and helpful to any customer that we are lucky enough to provide our services for. While cost assessment may not seem to be something of too much importance to the customer, we like to think that it is one of our most important “services” provided. We do not simply compare our pricing to other companies and adjust as the market does, we assess all of our own costs and make customer friendly adjustments whenever available. This process helps us to ensure we are continuing to use the best products and equipment available as well. We believe that an investment in our customers is an investment in our company and we will continue to put our customers first in all of our operational decisions! We provide our rug cleaning services to customers all across the Mid Florida area. We have locations in Orlando and Tampa that allow us to provide pickup and delivery services to many customers all across our extended service area. Our helpful, friendly technicians will notify you when they are their way to your home for your area rug pickup appointment. Upon arrival, the first thing our rug technicians will do is perform a short, visual inspection. The technician will inspect the rug for any areas of concern or visual damage on the rug. At this time, the technician will also verify the measurements of your area rug. Once the initial, in home inspection is completed, the technician will discuss any noticeable issues as well as if there are any differences with the estimated measurements provided during scheduling. Once all of the information has been verified and discussed with you, we will then load your rolled up area rug into our service vehicle to be transported back to our area rug cleaning plant. Our full rug washing process typically takes a couple of weeks to complete. Our main focus as a company is always the quality of the services we provide. Once your area rug is back in our facility, our area rug technician professionals will perform a much more in depth inspection. This inspection can test for noticeable issues at the base of the rug, color bleeding or dye migration issues. . If any concerns are noticed during the in facility inspection, we will contact you to discuss and inform what we see, prior to beginning the cleaning service. Once the service is completed, we will contact you to set up your delivery. Your delivery appointment will be quite similar to your initial pickup appointment. You will be notified around 30 minutes or so prior to the technician’s arrival to your home.. Upon arrival, our technician will be happy to set your rug down where it was picked up from, or he can leave it in a location within your home for you. Feel free to reach out to us anytime with any questions you may have. Our services are not limited to cleaning, we also focus heavily on customer service. We ensure that all of our employees are friendly and ready to help in any way they can. You can call our office at 407-930-4854 to speak with one of our office staff team members. Our office team members can help with a variety of things. If you have a question about your service, just reach out and a friendly voice will be ready and eager to help. If your question is a bit too technical, we would be happy to connect you with one of our rug technicians who can answer most questions over the phone, or through messaging. Each one of our office team members are regularly helping customers with price quotes and scheduling. If you typically prefer to avoid phone calls, we do have a variety of other ways for you to contact us. 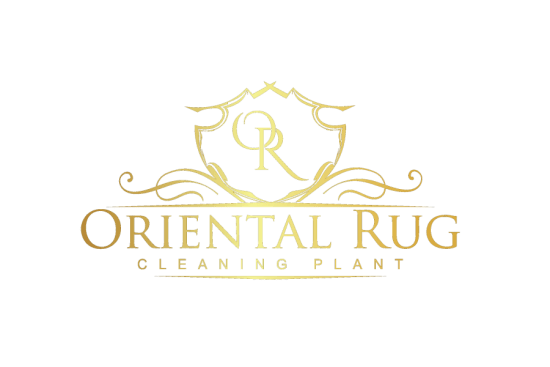 You can email us at OrientalRugCleaningOrlando@gmail.com and we will respond as soon as we receive your message, within normal operating hours. If you are on this site, you might have noticed the chat bubble in the lower right hand side of your screen. Click on that bubble and you will be connected directly to one of our helpful team members, during operating hours. Our live chatting option gives you the opportunity to ask questions or book services without having to make a call or compose an email. You can also text our office line as well. Our internet based phone system allows us to easily respond to texts. You can even text a photo of your rug (preferably with the tag visible) and we can help to identify the rug and provide a quote along with other helpful information. We do our best to make your experience with our company as smooth and easy as possible! Feel free to Call or Text us at 407-930-4854, Email us at OrientalRugCleaningOrlando@gmail.com, or reach out through the Live Chat option right here on our site! We are standing by and ready to help!